Rechtzeitig zum 10. 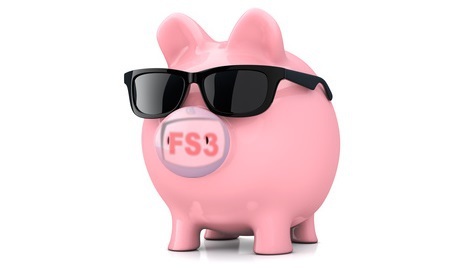 Jahrestag des Todes von Dr. Jörg Haider bringt das FS3 eine Zusammenfassung der Beobachtungen aus 2008 und eine Reihe von Repliken vergangener Sendungen des anderen Fern-Sehers zum berühmtesten Enfant terrible Österreichs, der nur wenige Tage vor Durchwinken des Banken-‚Rettungs‘-Paketes sterben mußte. Man mag zu seinen Ansichten stehen, wie man will, jedoch war er nach Dr. Bruno Kreisky der letzte Ausnahmepolitiker der Republik. Dr.Joerg Haider would have become the new chancellor of Austria. As our agents have elaborated in a few threads already this „accident“ smells a lot. On Friday, October 10th about 10:00 pm Dr.Haider was appearing as a „surprise“-guest at a presentation for a new paper at a local club in Klagenfurt where he maximally drank one glass of champaign, as witnesses stated independently („he only sipped at one glass“). So he definitely was not „drunk“ – btw. I knew him personally – he was not much into drinking, anyhow. About midnight he was said to have left the party and made a detour to drop his personal driver at his home in Klagenfurt – to „give him some days off“, as the Haiders were about to celebrate Dr.Haider’s mother 90th birthday on Saturday at their home in Baerental. So this would be one of those few opportunities where Dr.Haider would drive alone, as normally an official car has to be driven by the assignated driver. The car was a Volkswagen Phaeton V6 TDI, with two tons weight and 240 HP, max. Speed 237 km/h, equipped with the latest approximity-warning and ABS, 12 airbags(! ), 4 wheel drive, automatic six gear and Tiptronic. According to what we heard first from the news, „Haider was overtaking a mysterious woman and veered off the road shortly after the manouvre“. 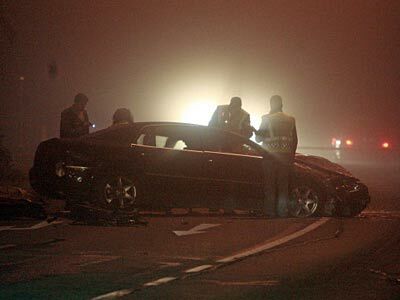 The accident happened right before the entrance of the small village of Lambichl, south of Klagenfurt, on a clear three lane road (where even there would have no possibility of opposit traffic) about 1:00 am. The weather was slightly foggy, but the road was dry as it is normal during that time of the year, and Dr.Haider knew the road perfectly well. Additionaly he has had an accident almost in the same place in 1993. There was a speed limit of 70 km/h which turned into a (provisorically) 50 km/h-limit, due to a strange, temporary construction fence (no idea, no mentioning where it could have been) which was hit by the car as well, as you could see parts of its shattered frames all over the the scene. No mentioning of the identity of the mysterious main witness anywhere, later – what seems to be strange – as you would suspect hordes of yellow-press journalists chasing after that woman who must have seen the accident – if you tend to believe anything what was stated in the media. It was first reported that this woman called 911 at 1:08 am, although we could read that she „had problems to get through“ – a remark that had dissapeared although later the next day. As well there were first words of „firefighters at the place, who allegedly rescued Dr.Haider“ out of the wreck – and that he was said to be „alive“. The same statement of the emergency doctor who was said to have „arrived first“ and tried to stabilize the victim, who „showed weak signs of life, although he had suffered severe injuries to his head, the chest ripped open, broken neck and left arm almost severed“. Now it is stated by the chief of the Klagenfurt hospital, Dr.Koperna, that „he was dead, immediately“! The autopsy will take place in Graz (!) – not at Klagenfurt (?) – according to prosecutur Gottfried Kranz. Strange, that you could see no blood on the crime scene, especially not on the driver’s seat. Both left doors were seperated from the car and could be found – almost undamaged – on different locations in different pictures taken. Their mounting mechanism although, looked like they were ripped out with great force! It was concluded by ‚experts‘ today that Dr.Haider drove at 88 mph (142 km/h) at the time of the ‚accident‘. Again, this should be no problem, as you could make at this part of the road more than 100 easily without any problems – especially with THAT car! Nobody ever mentioned although, that there exists a traffic radar box, situated shortly before Lambichl monitoring the B91 in Neudorf. If you really drive at such high speed from Klagenfurt there should be a photograph showing JH and his car exceeding the speed limit. If you compare different photos taken at the night, compared with pics shot on the next day, you will recognize that some parts of the car were moved, added or altered, afterwards. The two left doors were moved, as the car itself, after the crash. Normally, the police is obliged to make their markings at the crime scene IMMEDIATELY after the event. There were special police units at the place, examining the car as you can see from the pictures taken at that night (below). Moreover, it was stated that a protection team from the state’s police drove a few minutes after JH, as every important politician is under protective surveillance. Although, these first responders seem to be from the COBRA special unit examining organized crime and terrorism. Nothing seems to have gone ’normally‘ in this case. Besides the fact that there is no word of that mysterious woman in the car behind Dr.Haider anymore, there are no statements of the inhabitants in the houses around likewise, who should have heared something. Strange! And there is even more: Look at that almost circular HOLE, right above the driver’s seat! What causes an almost perfect circular hole in the roof, located exactly above the driver’s seat? Dr.Haider died on the same day as Uwe Barschel (modified external Link) was killed by a hit team, exactly 21 years ago. Dr.Haider had promised to „clean out the mud of today’s banking manipulations“. Chefermittler Manfred Dörfler, der Bruder des ehemaligen Landeshauptmannes beging genau fünf Jahre nach Haiders Tod ‚Selbstmord‘. Keine Parte, kein Nachruf – kaum Medienecho für den hochrangigen Kriminalbeamten aus Kärnten! Weiters ist in diesem Zusammenhang auch der seltsame Absturz eines Kleinflugzeuges, kurz nach dem Attentat, auf die Cobra-Zentrale bei Wiener Neustadt zu erwähnen. Haider hatte viele Anhänger bei der Exekutive. War der Absturz auf das Hauptquartier der Sondereinheit ein Warnung, nicht mehr weiter nachzuforschen? Allem Anschein nach explodierte ein gerichteter Sprengsatz über Haider im Dachbereich des Phaeton, wie man an den – durch den plötzlichen Überdruck im Innenraum – herausgefallenen Lüftungsteilen und Türschlössern VOR dem eigentlichen Aufprall erkennen kann.